Last night, the Davidson Town Board began a series of discussions on how to spend the money freed up by the renegotiated interlocal agreement with Mooresville on Mi-Connection. Here's a prediction. Lower taxes or fees will not be on the agenda. Instead, the Town appears to be ready to start spending again (at least for a while) as if the Mi-C problem has been solved. Unfortunately, that's not at all the case. The new Mi-C agreement caps Davidson's annual payment on the subsidy at $1,000,000. However, it does not absolve Davidson of the Town's debt in any way. 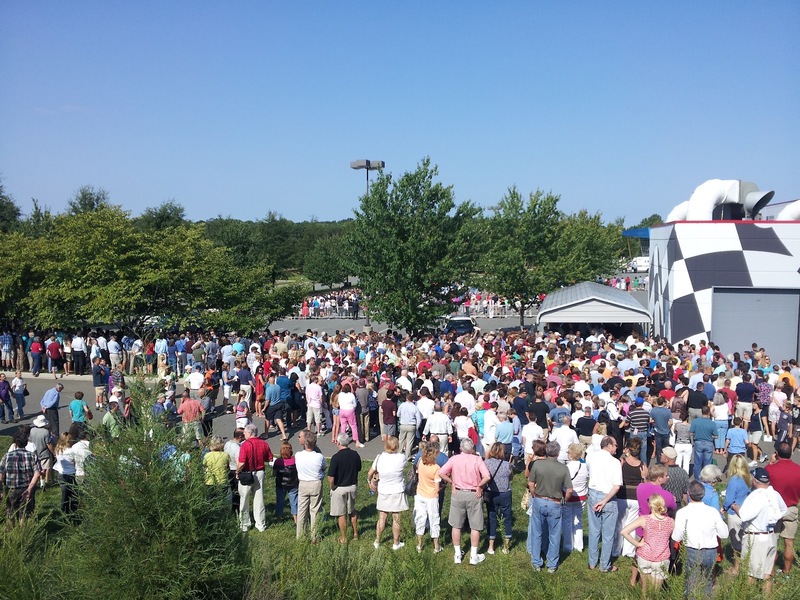 Any amount Davidson would owe above $1m becomes an interest free loan owed to Mooresville. That debt will increase every year Davidson Commissioners choose to spend this money on anything other than socking it away to pay back that debt later. This makes these spending decisions the equivalent of putting them on the Town credit card. Post 100...what have I learned? Things have been slow on the local politics front the past couple of weeks affording me the opportunity to think about what I've learned since writing that first post back in February. It has been quite a ride, and for post 100 it seems fitting to reflect on what I've learned. Writing about Davidson town events as well as the regional happenings on the local political landscape has certainly brought me closer to this place I call home. It has taken me to places I would not have gone otherwise and introduced me to people whose paths I would not have crossed. Interesting, rewarding, and enlightening are words that come to mind. Is the clock ticking on the Red Line in Raleigh? The boat rockers over at the Daily Haymaker are at it again reporting on discord in certain corners of the GOP in North Carolina. This time though, they're talking about our backyard here in Mecklenburg County, and they specifically mention the $452 million Red Line as a bone of contention between the conservative base and the GOP establishment. This sentiment was on full display in a recent Red Line discussion on the North Mecklenburg Republican Women's Facebook page. The opposition to the project among the Republican grassroots was crystal clear. In a surprising signal the message may be getting through to the establishment several posters also make comments indicating they've heard from various elected officials that the Red Line is dead in Raleigh. Most interestingly, the MeckGOP Precinct Chair, Bob Diamond, states that he got that distinct impression from none other than gubernatorial candidate Pat McCrory. If that's true, that would be a sea change in the status of the project. I say if because Pat McCrory has been a long-time champion of rail projects both as Mayor of Charlotte and since leaving Duke Energy. That includes buying into the shaky economic development arguments behind these projects. See How to sell transit? 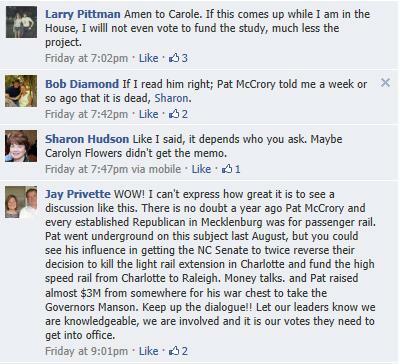 Dumb it down, says Pat McCrory from 12/10/2011. The recent primary season was nasty, and it will take a while to mend some of those fences. Some may never be mended in fact. The question I have is will some of our elected officials and candidates recognize they need mending in time for this November? If there's one good thing that could come out of it all, that would be to ring the bell on the Red Line. Doing that clearly and loudly from the campaign trail rather than just insinuating that it will be dealt with next year would be a clear way to let people know they are serious and not just playing election year politics. 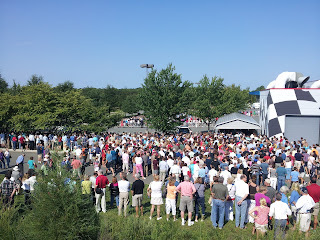 Sunday's RomneyRyan2012 event in Mooresville showed very clearly why picking Paul Ryan (or somebody like him) was very much needed by the Romney campaign. Thousands showed up and many of those would not have been there (myself included) if Romney had followed conventional wisdom and played it "safe". The selection rejuvinated the race for the Presidency. That in itself is important for a Romney campaign that can't seem to pull away from President Obama in any meaningful way - even with a lagging economy and unemployment stuck at stubbornly high rates. Former Cornelius Commissioner and Revaluation Crusader Jim Bensman's recent open letter to the elected officials of North Mecklenburg is getting some attention around town. One reader of this blog asked me and others via email what we thought about it. "The simple fact is that Davidson cannot afford to protest revaluation. Take a look at the current budget and then subtract the revenue gains associated with revaluation, looks pretty ugly. That would mean several hundred thousand more dollars in cuts! This is why you will hear nothing from Town leadership. They are counting on revaluation to get them out of the terrible financial crisis some of them helped create!" Residents of the Town of Cramerton are still dealing with the fallout from a Norfolk Southern train derailment Monday afternoon. Story here from the Gaston Gazette. Fortunately, nothing catostrophic happened when over 30 train cars derailed in town - including highly flamable petrolium tankers. The small town of a little more than 4000 in Gaston County has a train line running through the middle of it - a setup that should sound familiar to Davidson residents. Something to considder as supporters continue pursuing the Red Line Regional Rail project with its proposed increased freight traffic through the towns of North Mecklenburg. 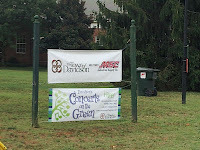 You may have noticed the banners on Main St welcoming MSC to Town, and you might have seen the sales signs welcoming potential homebuyers in Bailey Springs, River Run and other neighborhoods. 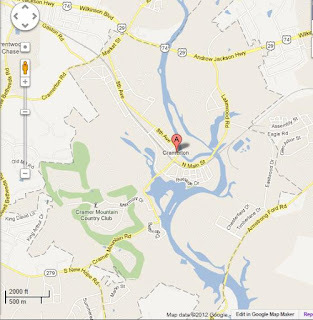 However, you might not have seen the Welcome Video up on the Town's Youtube Channel posted under ExploreDavidsonNC. In case you were wondering who put together the video, per Cristina Shaul, Town Public Information Officer, it was a combined effort of the PIO with volunteer help from rising 9th grader and Boy Scout Jeremy Collier . The video will be presented at the next Town meeting on August 14th. Per the email from Ms Shaul, "MSC, through their relocation company, has been sending large groups of employees down to the area to help them learn more about the region, in order to determine whether or not they will relocate. We created this video to welcome them to Davidson, share some key aspects of our wonderful community, and highlight our neighborhoods and schools, to help them get the 'lay of the land.' 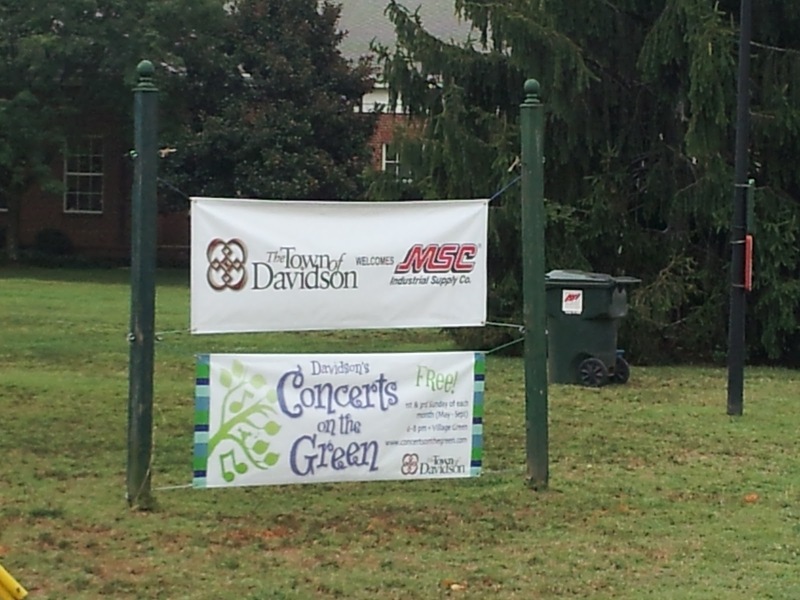 One of the main reasons MSC picked Davidson is because of our wonderful community, and they are looking forward to being part of it." Affordable Housing Rules Ignored or Irrelevant to a Revaluation? 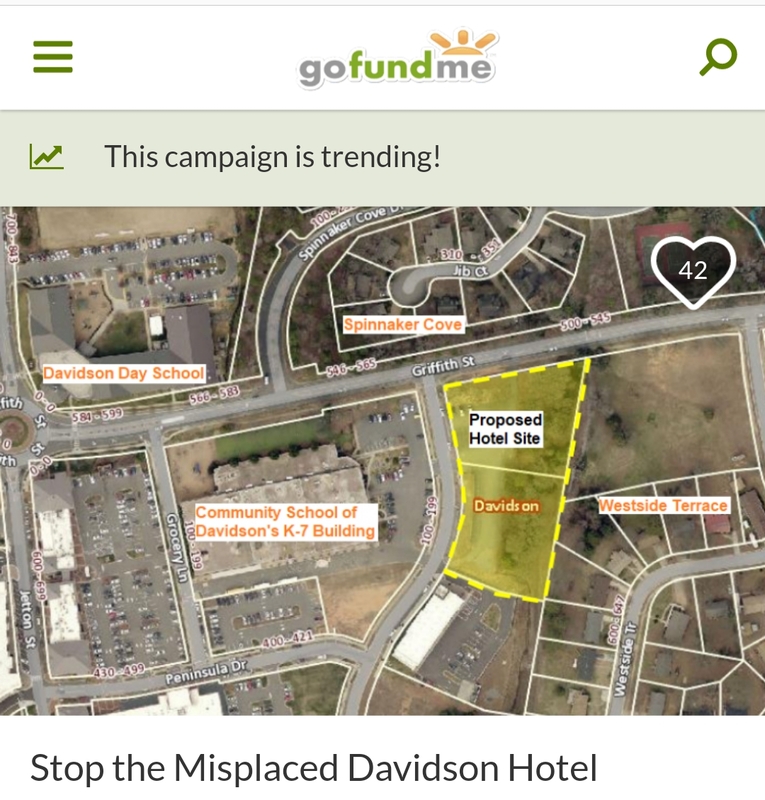 Over at DavidsonNews.net there is a piece that poses the question Is assessor ignoring Davidson affordable housing rules? In an unfortunate situation, there are Davidson homeowners in the Town's affordable housing program who after the last revaluation now have homes assessed for more than they can legally sell them according to the rules that keep the homes "affordable". The question that should probably be asked is why shouldn't the assessor ignore those rules?